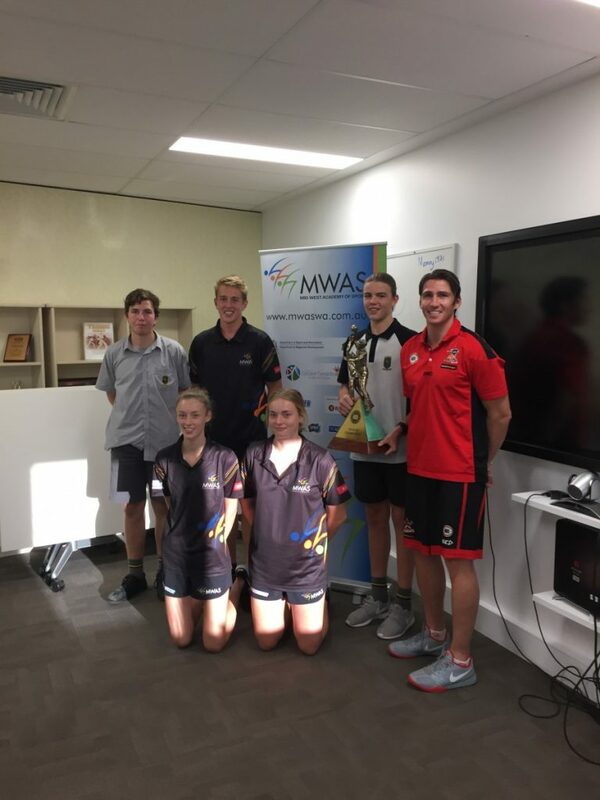 Damien Martin the captain of the NBL Champions Perth Wildcats shared some valuable time with MWAS athletes on Friday. Having started in small regional town in NSW, Damien’s story resonated well with the MWAS athletes, particularly the young basketballers. Among the many wise lessons Damien imparted was his appreciation for the sacrifices his parents made to help him, one of five siblings, achieve in his chosen sport. The story of long trips from home to Newcastle for training and competition were familiar to the audience. Damien’s easy manner and friendliness set the group at ease and they found voice to ask questions about how Damien came to be the great defender he is now, his hardest opponents and how he developed confidence in himself. The answers were forthright and gave the athletes and coaches in attendance a great insight into the pillars upon which Damien has built a great career. Damien had some strong encouragement for the female basketball players, noting that the Opals is a continuously successful team and wealth working the hard work to aspire to. The session wrapped up with Damien playing ringmaster for a quick game that saw Emma Burke take out the prize of some Wildcats merchandise. MWAS thanks the Geraldton Sporting Aboriginal Corporation for providing this opportunity. Damien was inspirational and we would love to have him back anytime.